Are you looking for a window company that addresses your needs with a comprehensive line of windows, windows that are available in a variety of styles and shapes, windows that are energy-efficient as well as beautiful? Take a look a Simonton Window products. 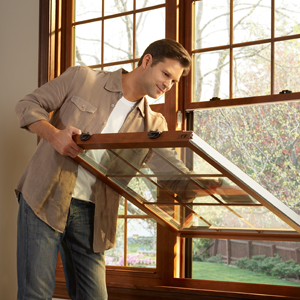 Simonton Windows offers several lines of vinyl replacement windows. Simonton Reflections are high-quality, energy-efficient vinyl windows at an affordable price. Prism is Simonton's exclusive, custom line, available in platinum, gold and bronze. Simonton Impressions are especially energy-efficient replacement windows that come with a variety of options and Simonton Storm Breaker Plus windows are impact-resistant windows designed for coastal areas where high winds and hurricanes are a threat. Do you need assistance choosing the replacement windows that are just right for your Connecticut home and for your budget? Since 1992, Berkeley Exteriors has been helping area homeowners create beautiful exteriors with quality windows, doors, siding and roofing materials. We're not just a seasonal contractor or a big box retailer. Making the exterior of your home look as good as it possibly can is our only business. When you're ready to get started creating windows that will last for years to come while beautifying the exterior of your home and saving you energy dollars, give us a call at 203 877-4373 to set up a free consultation. We're looking forward to working with you.